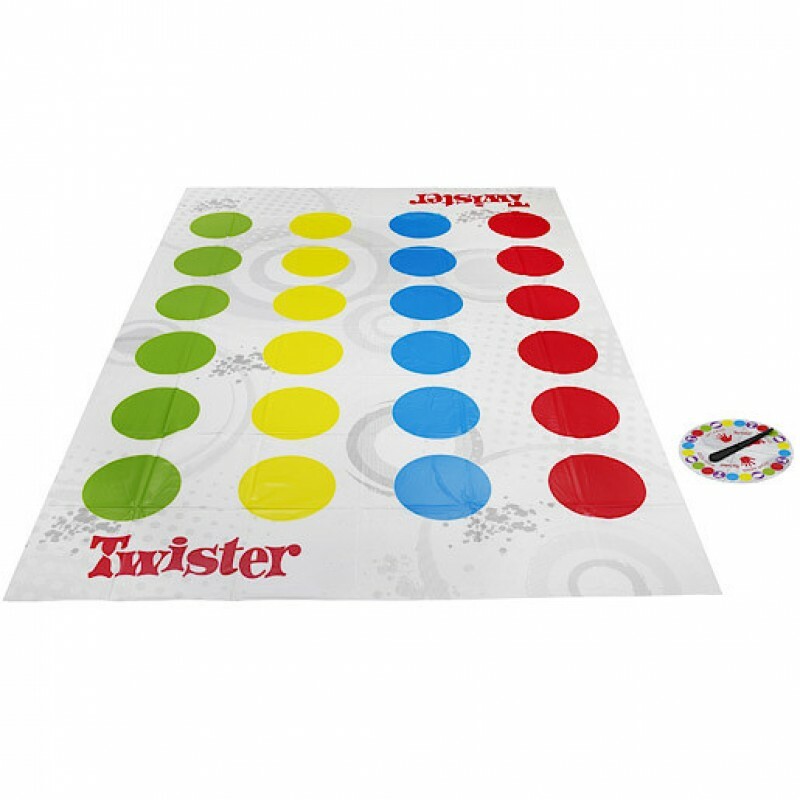 Add a fun twist to any party or family night with Twister, the game that ties you up in knots. Give the spinner a whirl and follow its instructions to move your hands and feet across the mat from one circle to another. Anyone who loses their balance and topples over is out. 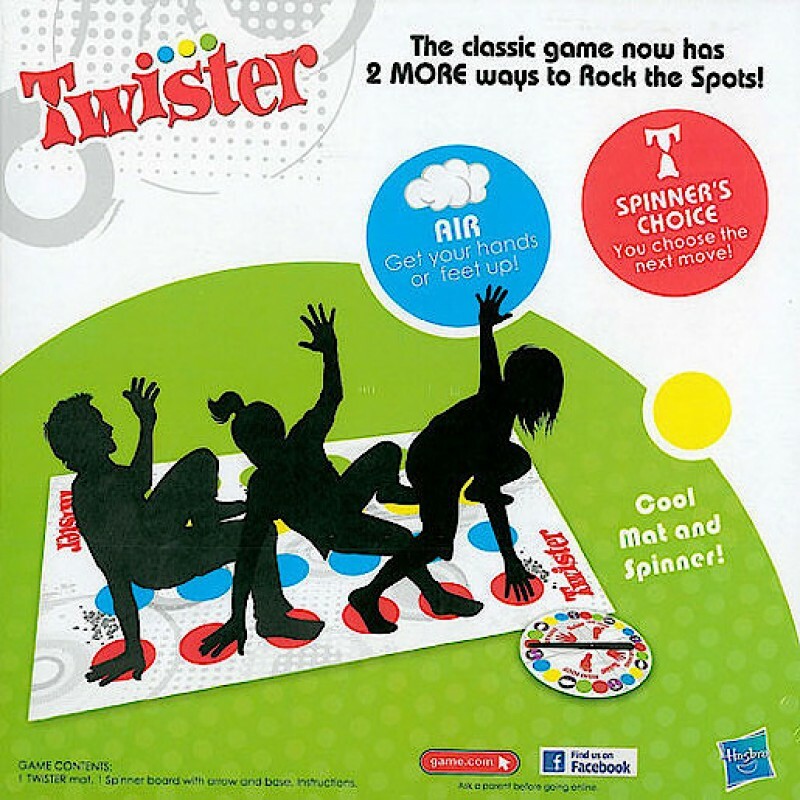 This classic game now features two new ways to rock the spots. 'Air' and 'Spinner's Choice' have been added to get you even more tangled. If the spinner lands on Air, the player must put a hand or foot up. If it lands on Spinners Choice, the person who spun the dial can make up a move for another player to do. 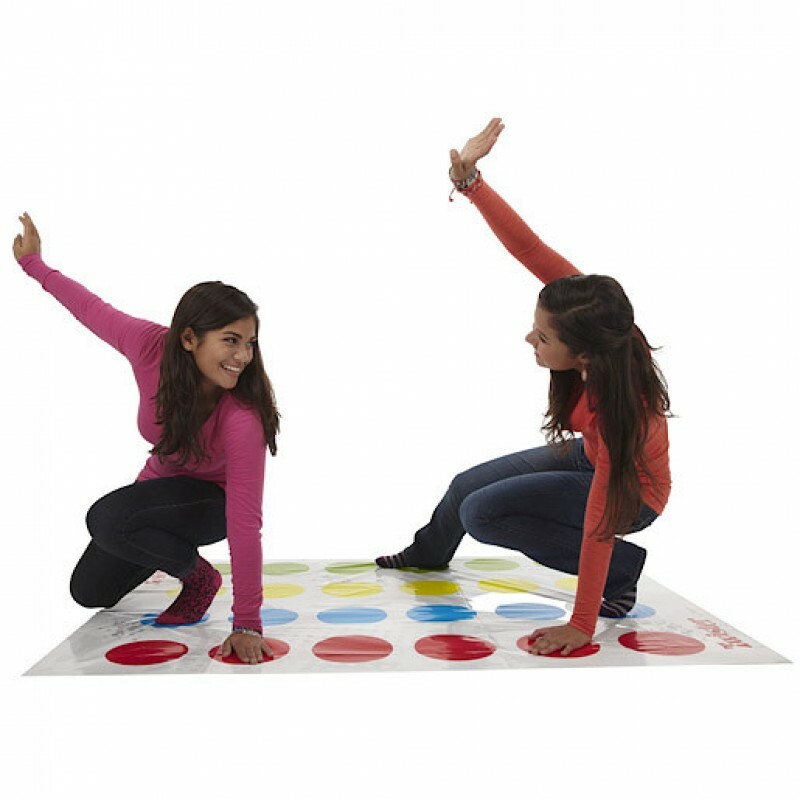 Players will be twisted into all kinds of crazy positions, on the 180 x 135cm mat, so make sure you limber up to be the last one standing. For two or more players and ages over six years old.